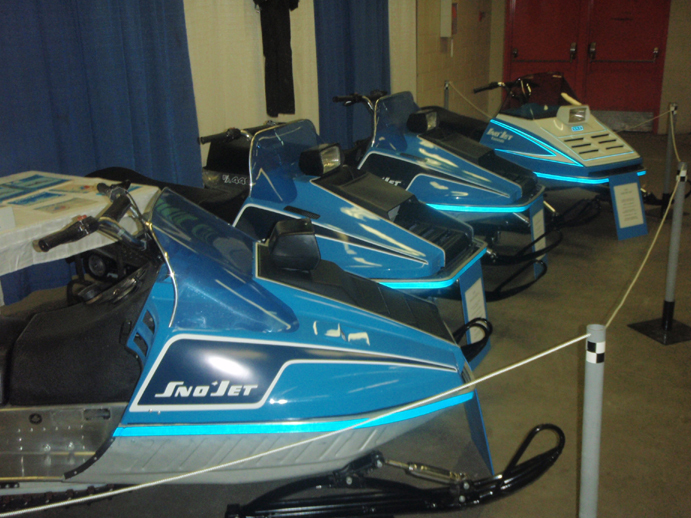 75 - 77 Snojet 440 SST's in Doug's collection. 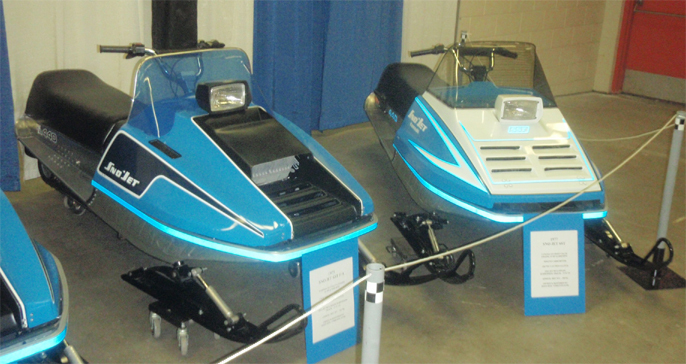 They always take them out on vintage rides. 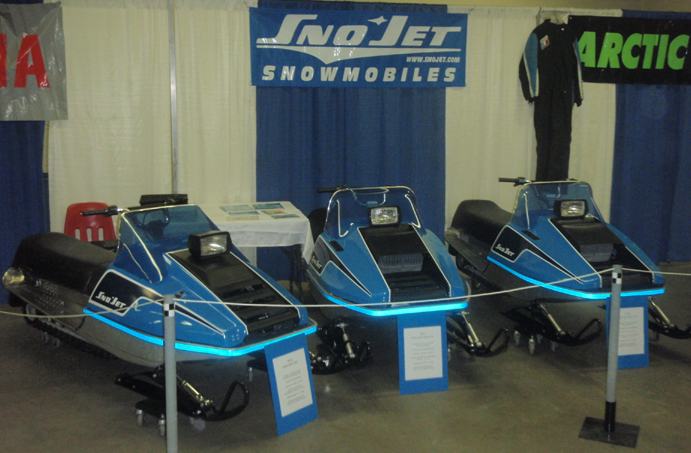 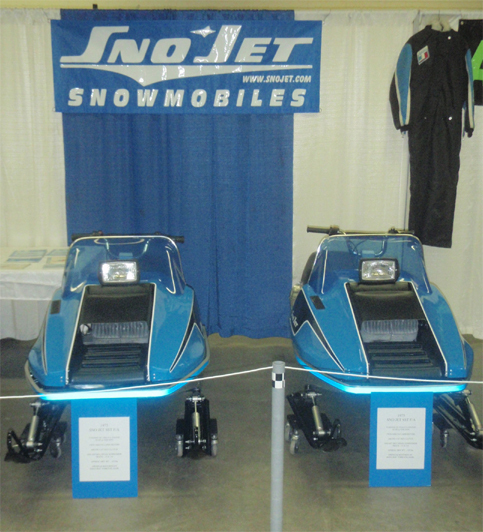 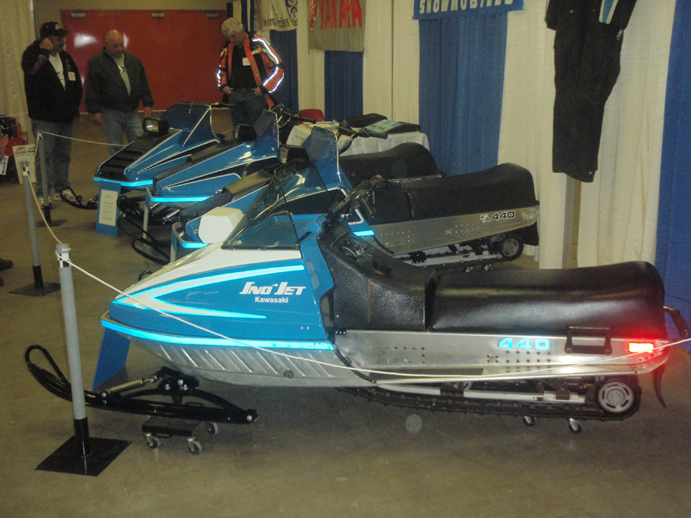 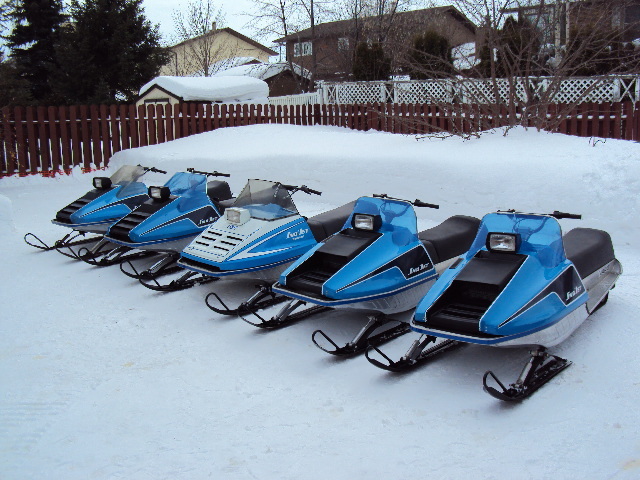 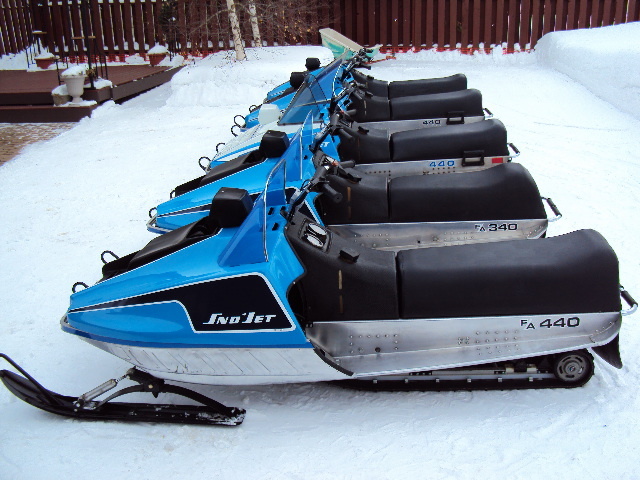 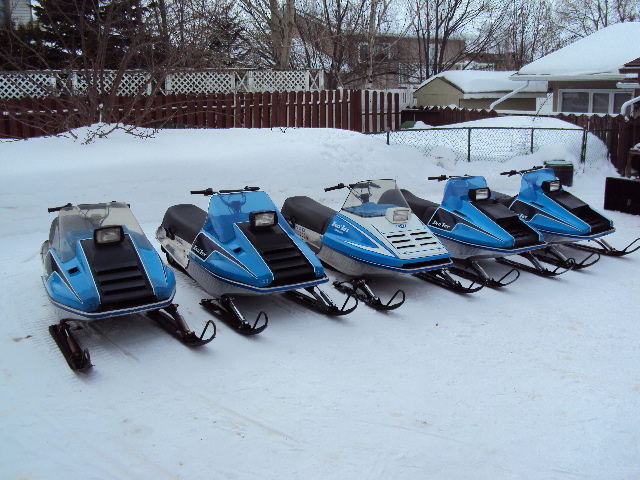 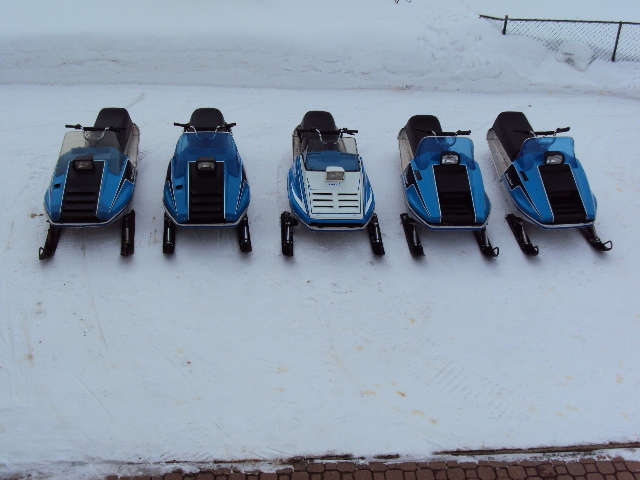 Here are a few shots of Dougs sleds from the 2009 show in Regina. 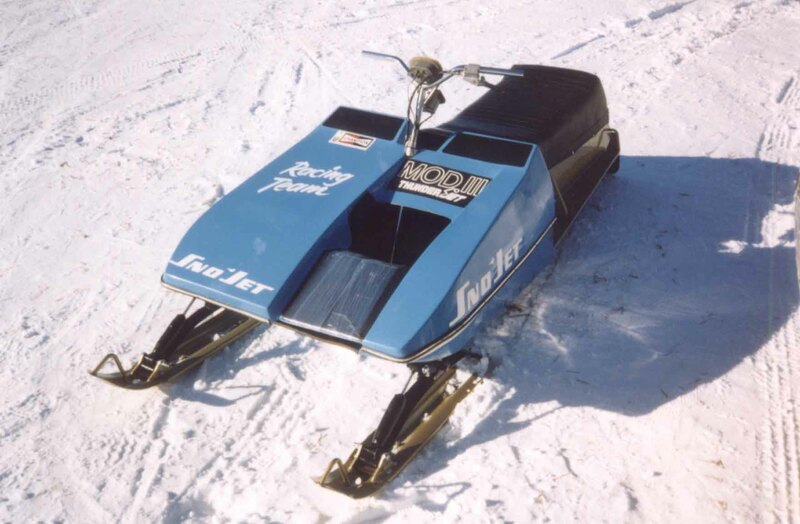 1973 440 Thunder Jet MOD. 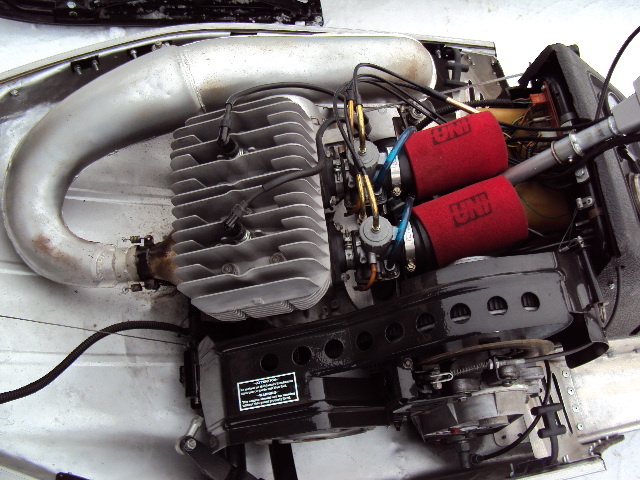 Picture taken at 2002 Earl Grey Vintage Drags.